Pro Home 1 provides homeowners with straight talk about their remodeling, roofing and siding services and delivers results that increase their pride of their homes. As a fully insured and licensed independent contractor with over 40+ years of combined residential and multi-family complex construction experience, we help our customers understand their options so they can make the best-informed decision. Located in Wood Dale, IL, we have been servicing Dupage, Cook and Lake Counties for over 10 years. We are ready to get started on your home improvement project - just give us a call! 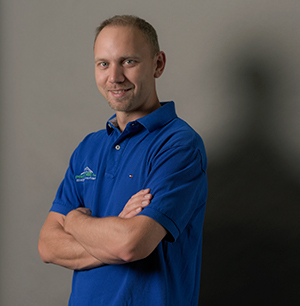 Peter Pawelko is the Co-Founder and General Manager of Pro Home 1. With a longstanding career and passion in construction, Peter has over 20 years of experience in the industry. His education includes degrees in Construction Management such as Construction Engineer Technician. He has also pursued education in construction law and architectural designs. His experience began with hands-on remodeling, ranging from interior renovations to exterior carpentry. During several years of construction boom, Peter's strong knowledge base grew and quickly landed him into leadership roles. Peter became a Project Manager in new construction development of 5-7 story condominium buildings, which he managed from ground up through closings. Peter is responsible for customer relationships and multi-family association projects. After serving his country in the Army, Chris pursued the exterior remodeling industry and has over 15 years of experience in roofing, siding, windows and doors. Chris specializes in implementing quality installations, meeting the company's high standards and manufacturer guidelines. With a positive strive to customer focus, he makes the process a pleasant experience. To provide straight talk about products and information that fulfill remodeling wants and needs. Our friendly, knowledgeable and professional staff will help educate and problem-solve for our customers. 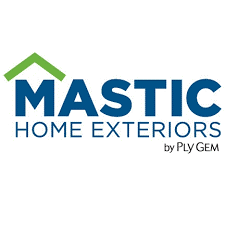 Through our commitment to straight talk, collaboration and unique solutions, we strive to become the area’s most trusted and respected provider of quality remodeling and be rewarded by a customer’s increased pride in their home. "Peter and his office staff, and Ralph in the field do a..."
"I would recommend your company every time." "They just do what they say they are going to do, they show..."
At Pro Home 1, we believe in being generous with our time, knowledge, and expertise. We want to be helpful to the local communities as much as we are to our clients. One of the ways we involve ourselves in local communities is participating in and sponsoring locally-based ventures and projects. As a result, we've become a partner and co-sponsor of Swapadventure® - a social recycling company that makes recycling the ultimate sharing experience. Held at fun venues in a positive and safe environment, this organization engages everyone to recycle-n-share with others and see exactly where recycled goods are going. Swapadventure® 2-hour events are more than just about swapping. It's a live social function where people get to socialize, meet new people, shop for free, and engage children to share with others in a fun positive environment. By recycling and attending swapping events, attendees are making a difference and creating a big impact on someone else's life.